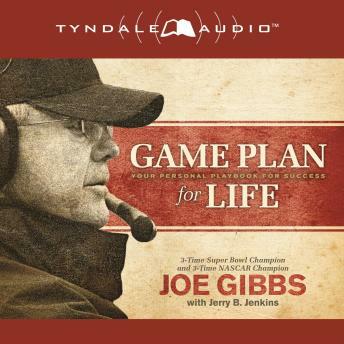 Three-time Super Bowl and NASCAR champion Joe Gibbs's Game Plan for Life is an "average Joe's" guide to what the Bible has to say about the 11 most-important topics for men. Topics such as finances, relationships, living a life of purpose, finding the right vocation, physical, emotional, and spiritual health, and overcoming sin and addictions. Edited by Jerry Jenkins, and featuring contributions from Randy Alcorn, Ravi Zacharias, John Lennox, Tony Evans, Chuck Colson, Josh McDowell, Don Meredith, Walt Larimore, Ron Blue, Ken Boa, and Os Guinness, Game Plan for Life shows readers how to live a balanced, God-centered, purpose-filled life, using examples of Coach Gibbs's own storied championship careers as a backdrop. A perfect blend of sports and basic theology, Game Plan for Life is designed to bring God's word home to sports fans of all generations.